These finely crafted menu cover are an upscale version of the clear stitched covers. They are covered with a Daytona naugahyde material which can be either foil stamped or debossed with your logo. 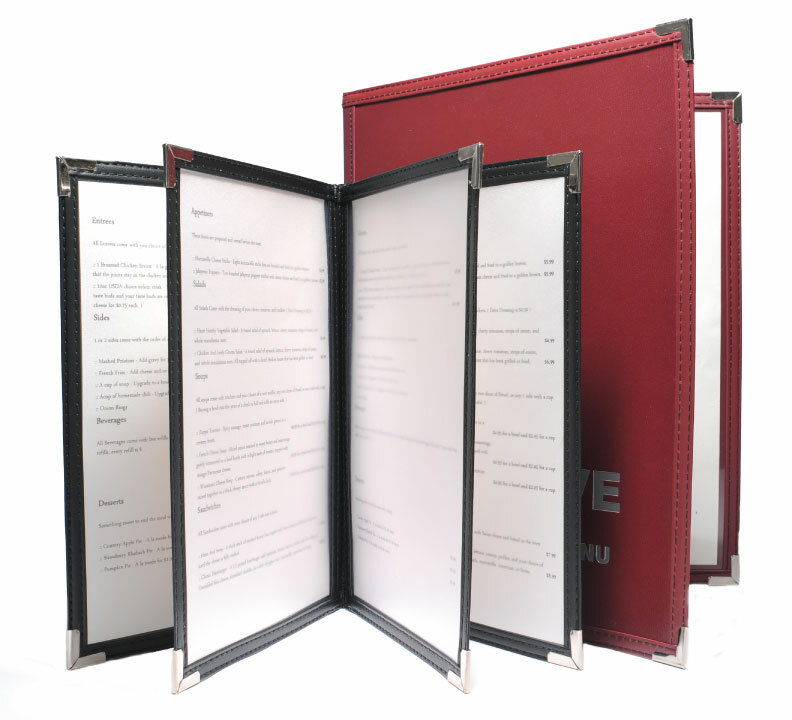 These menus have a very rich exterior look and still have a clear stitched interior giving you the option of having multipler pages.